Robi + Airtel now in 4G network. Looks like its a bonus internet pack for 4G enabled SIM as they did not put any price. 1GB per day with validity of 24 hour and package will automatically renew ever day for 4 days. (Looks like after 4 days, it will stop 😀 ). And this is only one time offer during the period of campaign. And the bonus can only be used on 4G network with 4G enabled SIM as well as 4G enable handset. Dial *123*3*5# to avail 1GB everyday 4G internet pack. 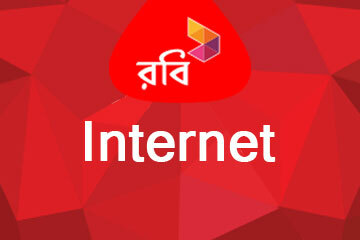 From 2nd January, 2019, robi offer a new internet pack with 30 /= of 1GB Data. They announced this offer as new year offer. Validity of this package is only 2 days. You do not need to recharge that amount, just you have to dial *123*301# . To check remaining internet, dial *8444*88# or *123*3*5#.. If you have an unused Robi SIM, Just Recharge TK 29 and instant you will get 1GB data with 7day validity. Additionally you will get 0.5/= per min call rate for robi to robi and 1/= per min for other operator. Same like the 29Tk offer, if you have unused SIM, you can avail 2GB internet of robi with only 100 /= recharge. And the validity is again 7 day. We are here just shearing the information taken from robi website. We are highly recommend you to visit robi website for latest updates as they may change their users policy or offer any time. What is Robi 9 Taka Offer? Please tell me GP bondho SIM offer. Thank You. have a look at All Bondho SIM Offer Banglalink, GP, Robi return back offer is there. আমার unused রবি সিম এ 101 Tk রিচার্জ করে 5 Gb পেয়েছি, এখন কি unused সিম এর 29 Tk এর অফার টা পাবো? 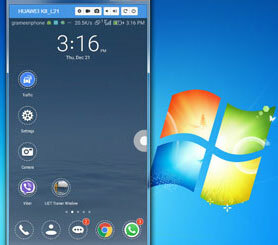 How to control Your Android Phone from Your computer or laptop? What if you are working on your laptop and your friends start text messaging!! You have to use both and it’s a bit annoying. In my case, I control my phone from my computer.